Rohina, A., Baharani fard, A., Kazemi, N., Abadi, K., Mohammadi, A. (2013). Evaluating empirical methods of flood flow rate estimation in Bakhtegan watershed-Iran. International Journal of Advanced Biological and Biomedical Research, 1(4), 450-458. Ayat Rohina; Ayob Baharani fard; Nader Kazemi; Kazem Abadi; Asghar Mohammadi. "Evaluating empirical methods of flood flow rate estimation in Bakhtegan watershed-Iran". International Journal of Advanced Biological and Biomedical Research, 1, 4, 2013, 450-458. Rohina, A., Baharani fard, A., Kazemi, N., Abadi, K., Mohammadi, A. (2013). 'Evaluating empirical methods of flood flow rate estimation in Bakhtegan watershed-Iran', International Journal of Advanced Biological and Biomedical Research, 1(4), pp. 450-458. Rohina, A., Baharani fard, A., Kazemi, N., Abadi, K., Mohammadi, A. Evaluating empirical methods of flood flow rate estimation in Bakhtegan watershed-Iran. International Journal of Advanced Biological and Biomedical Research, 2013; 1(4): 450-458. Several empirical methods for flood flow rate estimation have been presented. In this study,eight new empirical runoff estimation method including Dredge & Burge, Bourges, Inglis, Faning, Hyderabad, Burkli Ziegler, Cramar and Possenti were calculated in Bakhtegan watershed which is located in Fars province. After studying empirical methods for annual flood flow rate estimation and comparing the results from empirical methods with measured values by hydrometric station existing in the region, it was found that in most watersheds, the most suitable methods were Cramar, Burkli Ziegler, Faning, Dredge & Burge, Bourges, Possenti, Hyderabad, and Inglisrespectively. 1-Alcázar J. & Palau, A., 2010. Establishing environmental flow regimes in aMediterranean watershed based on a regional classification, Journal of Hydrology388: 41–51. 2-Azari, A. and Behnia,A. 1389. Application of creegar, diken and SCS artificial hydrograph method in flood peak flow rate estimation of Bornaj watershed.1th Conference of Applied Researches of Iran Water Resources. 3- Jafarian, A. R., Heydari, Kh. And Badiei, S. H. 1389. Evaluating flood estimation methods in those watershed without statistics (A case study: Zirkoohghaen region). The article collection of 6thNational Conference of Watershed Engineering and Sciences, and 4thNational Conference of Erosion and Sediment. 4- Khosravi, Kh.,Mirzaei, H., Saleh, I. 2013. Assessment of Empirical Methods of Runoff Estimation by Statistical test(Case study: BanadakSadat Watershed, Yazd Province). 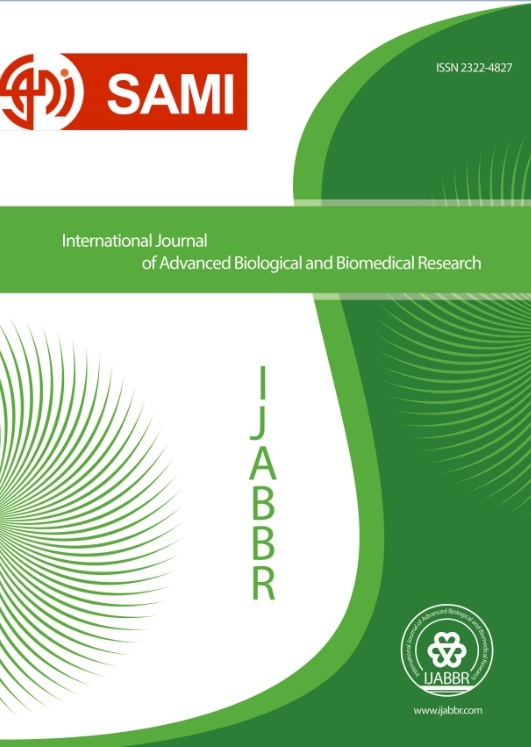 International Journal of Advanced Biological and Biomedical Research. 1(3):30-46. 5- Koutroulis, A. G. and Tsanis I. K., 2010.A method for estimating flash flood peak discharge in a poorly gauged basin: Case study for the 13–14 January1994 flood, Giofiros basin, Crete, Greece, Journal of Hydrology 385: 150–164. 6- Radmehr, A. and Araghinezhad, S. 1389. Comparison between corrected empirical model and statistical model in flow prediction.1th Conference of Applied Researches of Iran Water Resources. 7- Sanginabadi, H. and Abolghasemi, M. 1388. Determination and evaluation of flood flow rate and mean annual flow rate equations of Qazvin province rivers. 8thInternationalSeminar of River Engineering. 8. Taguas, E.V., Ayuso, J.L., Pena, A., Yuan, Y., Sanchez, M.C., Giraldez, J.V. and Pérez, R. 2008. Testing the relationship between instantaneous peak flow and mean daily flow in a Mediterranean Area Southeast Spain.Catena. 75:129–137. 9- Telvari, A. 1382. Calibration and comparison of some empirical methods applications for peak flow rate stimation in Krkhe watershed. Ministry of Agriculture, Tehran Soil Conservation and Watershed Management Research Center. 10. Yazdani, A. 1385. Estimation of maximum flood flow rate in small basins.Journal of Natural Resources of Iran. 59(2): 353-363. 11. Zare, S., Hezbi, A., Jandaghi, N. and Abbasi, M. 1388. Flood peak flow rate estimation in various return periods using empirical equations for small basins (A case study: GorganTolbane watershed). 5th TationalConference of Watershed Engineering and Sciences of Iran.